After your home, your next big ticket item on the shopping list may be a car. There are many costs associated with the joy of driving your car. If you are buying a car on loan then you may also factor in a monthly or annual cost towards your loan installments. In case you had no clue as to how to calculate the cost to own and drive a car in Canada, there are mainly 2 costs related to car ownership; fixed and operating costs. While it may not be possible to avoid fixed costs, there is some scope for a difference in operating costs. When you have an idea of the costs of owning and operating a car in Canada, then you may choose your car more wisely. If finance is not an issue then it may not matter to you whether you choose a BMW or a Ferrari. But for others, it may be a good idea to check how much they could actually afford to own a car and if needed, make adjustments. Or, maybe, buy a different car with the lesser total cost of car ownership. The fixed costs comprise of total purchase price or MSRP, finance interest costs, insurance costs, licensing & registration fees, sales tax, and depreciation costs. So, even if your car is parked in the garage you may still absorb most of these costs. The operating costs may vary as per your car and driving habits. It may also depend on the maintenance costs of your car and its fuel consumption. While maintenance may be routine or a big repair, the cost could be small or big. If you are replacing tires and rims as per season or wear and tear that is another cost. Then there is wear & tear to other parts of the vehicle such as rust, glass chipping, paint scratch etc. that may make your wallet lighter. Over many years if you keep the same car then your costs may add up as per the car. The total cost of owning a car may differ from province to province. The fixed cost of operating a car in Alberta includes an average annual insurance cost of $1350. The cost for a vehicle permit is $24.45. To get a new license plate, it may cost you $24.45. You may renew the vehicle license plate sticker for $84.45. In British Columbia, the average annual insurance cost for a car is around $1400. You may purchase a new plate and insurance decal for $18, however, a replacement may cost $50. A vehicle permit in BC may cost around $10 and the registration fee is around $18. The average annual car insurance premium in Manitoba is around $1020. You may pay $7 for a regular vehicle license plate and replacement may cost $15. To register a dealer plate it may cost you $145. The average annual car insurance premium in New Brunswick is around $800. You may pay $61 to $77 for annual vehicle registration as per the unladen weight of the vehicle. 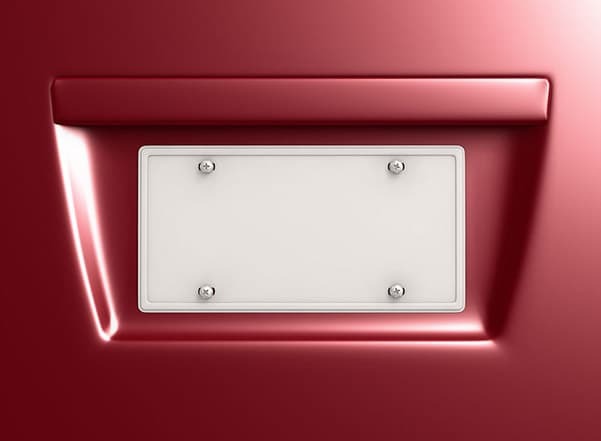 The cost of a vehicle license plate is $50 and an off-road vehicle plate may cost $25. Replacement of a license sticker or vehicle registration may cost $20. In Newfoundland & Labrador the average annual car insurance may be around $1010. You may pay an annual vehicle registration fee of $180 and a renewal may cost $160 annually if you renew online. A dealer vehicle license plate may cost $100 per year while replacement of license stickers may cost $30. The average annual car insurance cost in Nova Scotia is around $795. You may around $143.30 to $333.90 for a vehicle permit as per the weight. An initial application for vehicle registration may cost $107.35. If you need a personalized plate then the initial application may cost you $93.35 to $107.35. The average cost of car insurance in Ontario is around $1495 per year. You may pay $32 for a vehicle permit and with a license plate it may cost $57. A replacement of permit and vehicle license plate may cost $57. In northern Ontario, the cost of a license plate sticker is $60 while it costs $120 in the south. You may pay an average of around $770 per year for car insurance in Prince Edward Island. The annual fee for registering a vehicle with dealer plate is $100 while transfer of ownership of vehicle with or without plate is $20. The average annual car insurance cost in Quebec is the lowest at $720 and you may pay around $70.39 as insurance contribution. You may pay $115 for annual registration fee for a passenger vehicle if it weighs less than 3000 kg. A vehicle license plate may cost $2.25 and you may pay $8.85 for vehicle registration. To replace a license plate and registration certificate you may pay $11.10 and just the registration certificate may cost $4.45. In Saskatchewan, the vehicle registration and insurance program is mandatory through SGI. Just the cost of insurance portion may be around $760. The average annual car insurance and registration in Saskatchewan may cost around $1115 for a safety rating of 10. This is as per the rate calculator of SGI. The average yearly car insurance cost in Northwest Territories is around $875. You may pay $12 for a new vehicle license plate and a year of registration certificate may cost $83. A replacement of registration certificate costs $25. The cost of a personalized vehicle license plate is $238. In Nunavut, the average annual cost of car insurance is around $974. The use of vehicle validation stickers were stopped in Nunavut recently due to high inventory cost. The renewal of vehicle stickers is the responsibility of the car owner. The annual cost of registration certificate and vehicle license plate in Nunavut is $60. A registration permit costs $70 and a replacement costs $7. To reserve a license plate may cost $75 in Nunavut. The average annual car insurance cost in Yukon is around $795. A small to medium sized vehicle registration may cost $42 while for a large private vehicle it may cost $54 onwards. You may pay $125 plus taxes for a set of personalized vehicle license plate. To register a private passenger vehicle in Yukon you may pay $15. Do You Have To Pay For Car Insurance Upfront? Car Connectivity: Future of the Auto Industry?